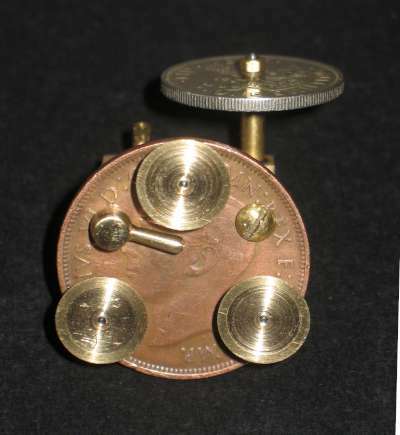 Another little gem from Phil Gravett (Phicraft). 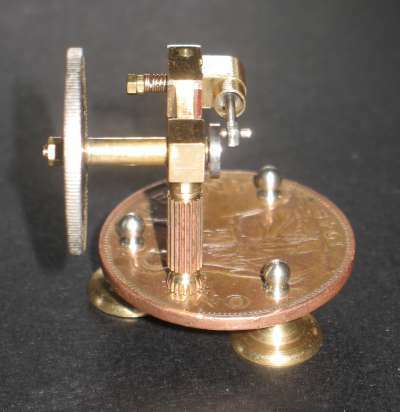 This is a simple engine using an old UK penny for the base. 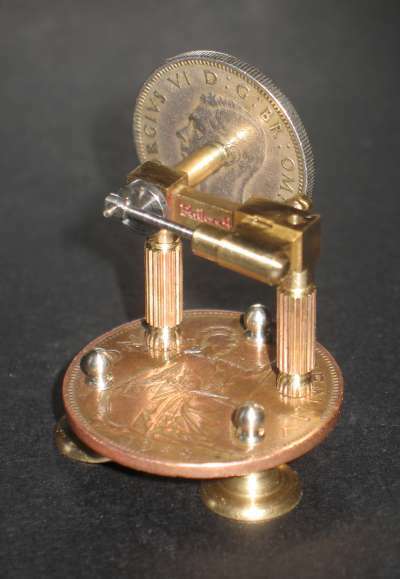 This example was customised by Phil using a shilling for the flywheel, instead of the normal turned brass one. The shilling is dated 1949 (my birth date). 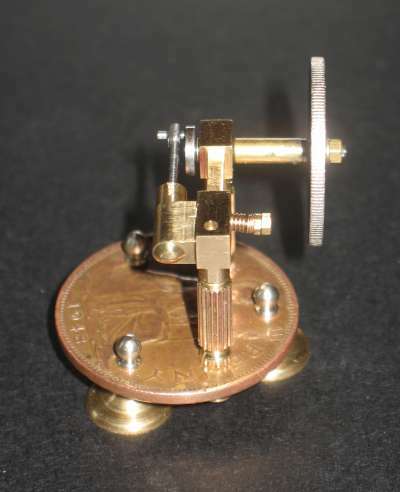 It has a tiny single acting oscillating cylinder, 1/8" bore x 1/8" stroke. The engine block is supported on two ornate brass pillars, one of which carries the steam feed. Exhaust is through a hole in the top of the block. 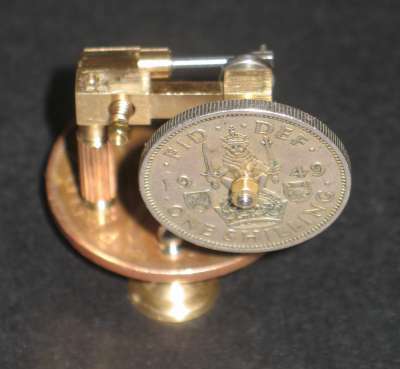 The pillars are mounted on a 1948 UK penny, with the steam inlet out of sight underneath. 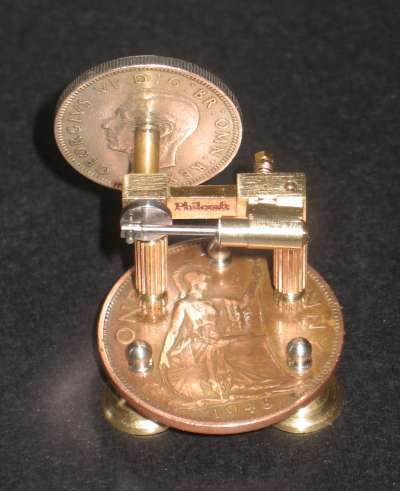 The penny is supported on three brass feet. The crankshaft has a 1949 UK shilling fitted as a flywheel. Unusually for Philcraft, the name is engraved on the engine block.